If you are looking to invest in a Birth Doula in Cheshire or Manchester, please read below for a breakdown of the basic package available. Bespoke package design and upgrades available. 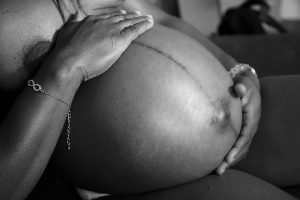 What does a birth doula package provide for my family? Call and Email access – I will be available for discussion and to help answer any questions, ease your fears and build a relationship with you or your partner, and send any resources you may need via email. This continues from the day you hire me and for 6 weeks into the postnatal period. At least two antenatal visits – these sessions help us all to get to know each other, build rapport and can involve your partner and children if required. It gives us the time to discover your birth preferences and it may help to debrief any previous birth experiences. It also gives us the opportunity to meet with your midwife or doctor, and support your partner or visit any antenatal classes in your local area. These visits are flexible and can be split and additional sessions can be added if required for consultant or midwifery appointment support. Birth Preferences/Birth Plan – you will discover what these are during your pregnancy as you learn more about the physiological process, or your chosen pathway for birth. I can help you to collate your ideas so your maternity team know and understand your preferences for birth, and your partner or I can advocate for your choices. On Call – my time is dedicated to your family whilst on call. I will be on call for your birth 24 hours a day for a month or more – from 38 weeks gestation or earlier if you have a history of premature labour. You will have access to my mobile number during this time to enable you to contact me as soon as your labour starts to ease any worries and reassure you I will arrive as soon as you would like to, at home or hospital. I will remain on call for the first 24 hours after birth for infant feeding support and aim to get to you as soon as possible should you call. Continuity during labour and birth – I can provide emotional and practical support for you and your partner continuously during your birth. I am able to support you after delivery until you are comfortably settled and to help establish breastfeeding or cook a light meal for your family. A back up doula in case of emergencies is an inclusive part of this service, and you can meet them, or chat to them on the phone if you wish to. Postnatal Visit – I will call on your new family in the early days or weeks to talk about your experiences and answer any questions you may have. This may include some early help and support with your newborn or a chat over cake. This can be booked at your convenience. Caesarean Section – You may find it helpful to have some additional emotional support and guidance from a doula in times where a caesarean is scheduled. Please get in touch for more information of how I can support you and your partner through this time and find out about how your baby’s arrival can be made as smooth a transition as possible. A deposit secures your booking. Installments via a payment plan can be arranged and bespoke package design available, please enquire about tailoring the package to suit your family’s requirements.